Do you want to create a website for your company? Do you want a site that’s got what it takes for today’s world (compatibility with mobile devices, responsive, functional)? 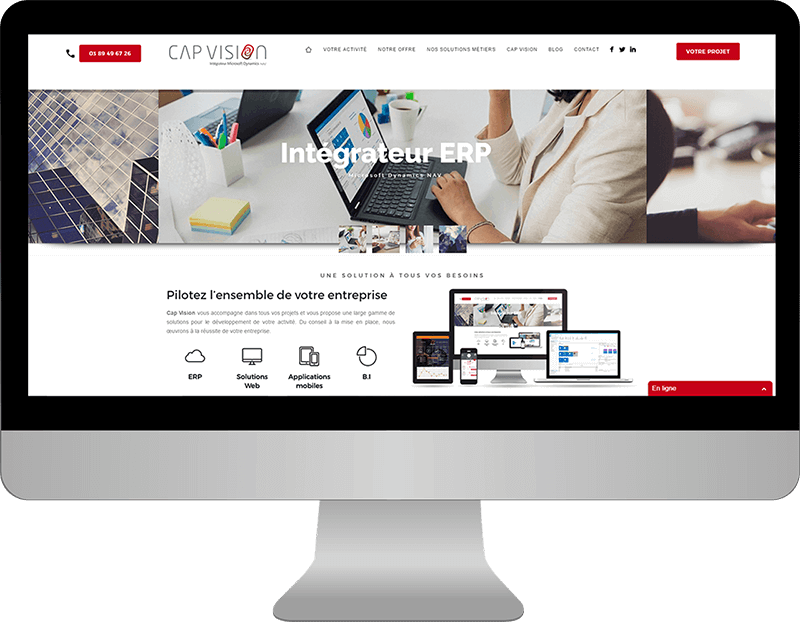 Cap Vision will support you throughout your project. A corporate or showcase website is aimed at promoting the image of a company, brand, organisation, or association. It also introduces the company, how it operates, and the services and values you want to promote. It’s an insight into your company online. We can also give you advice on how to manage your site and your overall digital strategy. 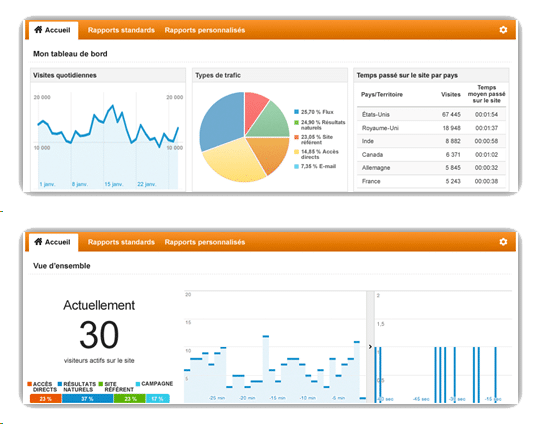 Cap Vision will also connect your site to Google Analytics. A wealth of updated data will give you an overall view of visitors’ behaviour on your site: how they access it and on what devices, etc. Explore your data in detail. Standard reports give an analysis of users’ interest in your site and how they interact with it.